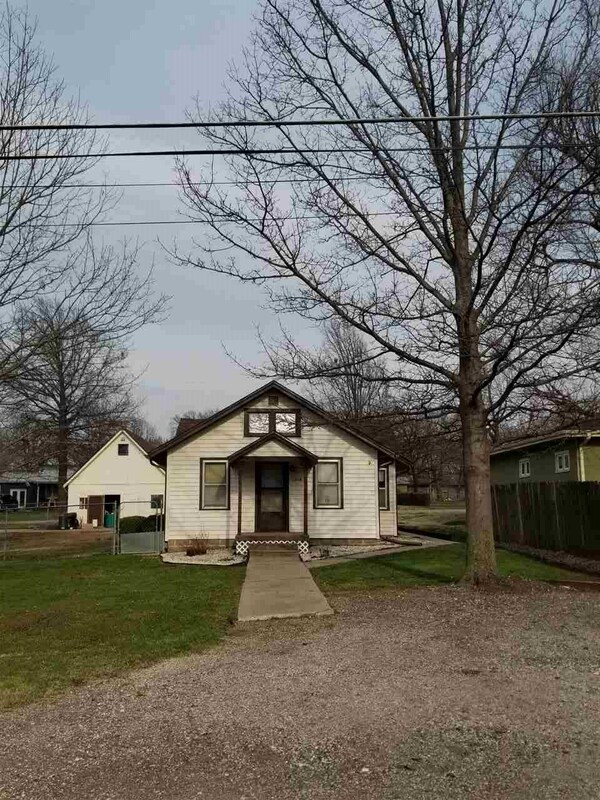 This is a great 3+ bedroom home with large living room, kitchen, and main floor laundry! The kitchen has lots of cabinets, new vinyl flooring, and gas or electric stove hookup. Living room, bedrooms, and bath have brand new wood laminate flooring! Oh and I haven't gotten to the partial finished basement complete with family room area, large bedroom with egress window, a large walk in closet waiting to be finished. It also is plumbed for a second bathroom! There is .28 acre fenced with a storage shed and a 1 car garage with another half for workshop! The home also has newer roof, and HVAC in last 4 yrs. And a nice covered front porch and covered back patio with parking on both sides of house!